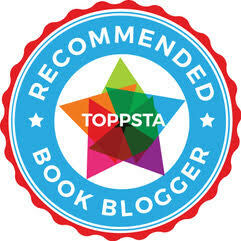 I can't believe I am writing a post sharing our favourite Easter reads whilst their is still snow on the ground. 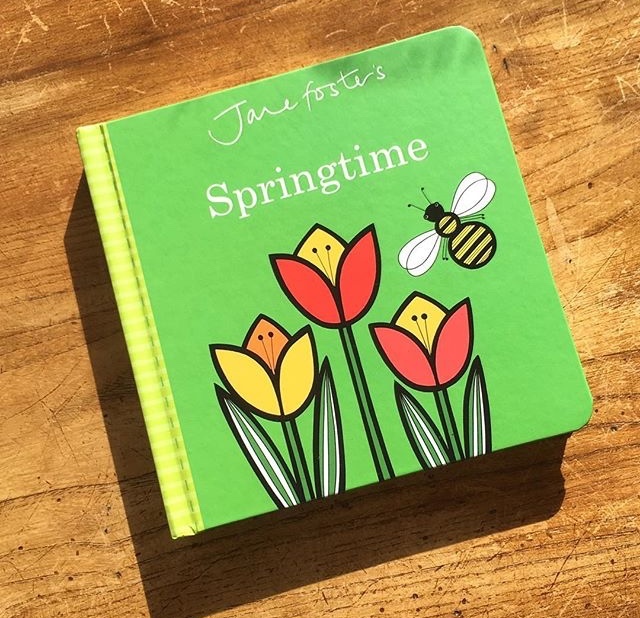 But if, like me, you want to help your little ones build up to the excitement of an Easter egg hunt or if you want to give an alternative to a chocolate egg at Easter, here are eight of our favourite Easter and Spring books! These two delightful books are great for little bunny fans who adore bouncing along and acting out and interacting with a story. In Everybunny Dance little ones will want to dance and play along with the bunnies and the friendly fox twisting and twirling, shaking their tails and playing along with musical instruments. And in Everybunny Count, your little bunny will want to count along and join in the game of hide-and-seek helping bunnies find the fox. The illustrations are sweet and soft and the bunnies come in all shapes and sizes which BookBairn loves as she tries to spot the ones that look like our bunny Jenson. Two years ago, tiny BookBairn and I shared a review of this lovely book and now we have it back out for The Wee Page Turner. Each page is a delight filled with bright pastel colours, adorable farm animals and a patterned egg. The egg has a patterned edge with the centre part being an egg-shaped cut-out that allows little fingers to turn the pages and explore the book by themselves. For bookbairns that have mastered turning the pages they can peek through the die-cut hole to reveal the next egg pattern. The illustrations are adorably cute and perfect for little readers to engage with the story. I love the smiles on their faces which, along with the text, spread the joy of finding eggs along the easter hunt. The illustrations are accompanied by a cheerful rhyming story that tells the story of the farmyard friends as they hunt for eggs hidden around the farm in flowerbeds, up apple trees, hidden underground and even in the proverbial haystack! Perfect for babies first Easter! This is a sweet little book where young readers will go on the hunt for a little bunny. With peep-through-holes and die-cut elements this book will engage little ones fingers as the read. BookBairn particularly enjoys the finger trails that she can feel her way along and always tries to peek though the holes before we turn the page. The Wee Page Turner likes to grab the holes as a way to turn the page too! On each page you get a sneak peek through to the next showing something that looks remarkably bunny-like but when you turn the page it is cleverly part of another creature: a butterfly's wing, mouse's ear. The illustrations are lovely and it is packed full of woodland and garden creatures which BookBairn is just loving talking about as we enter Spring and the garden becomes a buzz with creatures. I'm sure you are familiar with the children's classic We're Going on a Bear Hunt and this seasonal update is just as fun to enjoy together. BookBairn really enjoyed her egg hunt last Easter (even though it was indoors due to poor weather) and we will definitely be doing one again this year and to get her eggscited we have been reading this delightful book. In a similar style to the original you 'can't go over it, can't go under it, can't go around it, got to go through it' except this time a team of bunnies are in charge and they are making their way through fields of lambs, farmyards of chickens, hives of bees and rivers of ducks and, of course, they are hunting for an egg. Little readers can join in by lifting the flaps to discover eggs hidden on each page which adds a lovely interactive element that fits nicely with the story. The illustrations are soft and sweet and use a lovely pastel colour palette. This is a great gift for Easter and lots of fun to read together. We will be reciting it as we do our egg hunt for real! We love the touch-and-feel books in this series and The Wee Page Turner reads them everyday! He loves exploring new textures, and likes the bright contrast images but mostly I think he enjoys the repetition of the phrases and the expectation of finding the bunny/lion/hedgehog at the end. In fact, he tries to turn the pages as quickly as possible to get to the final page. We have found some of these books are better than others in terms of the variety of textures that they provide - the ones that have more visual elements like shiny and sparkly just don't appeal as much as ones that you can really get your fingers into like rough and fluffy. This bunny book is a great example with most pages being very textured. And of course it's perfect for Easter! I love Jane Foster's designs and when I saw that she had released a new board book I couldn't wait to see it. This is such a wonderful first word primer with lots of wonderful springtime flora and fauna. It's nice to have a book in our collection that celebrates more than just Easter time as Spring is a wonderful season full of discovery and new beginnings, not just chocolate eggs. Sharing vocabulary such as blossom, tulips, lamb, chicks, rainbow and bumblebees you can talk to your little one about how the world is changing in this new season. It would be a great one to pop in the buggy or a changing bag so you can spot these things whilst out and about. As I say the real charm of these books is in the fantastic artwork. The lines are bold and thick and the colours bright and cheerful making them great first books for babies developing their eyesight as well as slightly older toddlers who will love making connections to the real world. A lovely book (and not just for Easter!). We love the Five Little Ducks rhyme and BookBairn has been singing it since she was little so she is loving this pull-the-tab interactive version! The illustrations are adorable and it makes for a perfect springtime read/sing-along! And if you get tired of singing, Nosy Crow have the song on their podcast so littles can follow along whilst you enjoy a cup of tea! Win win! I hope you have a wonderful Easter and your kiddos enjoy Easter egg hunts and lovely Springtime stories! *DISCLAIMER Some of these books are ones we bought for ourselves and some of the books are ones that we were sent for review from publishers. Words and opinions are, as always, our own. The sun is shining this morning (hoorah) and I’m looking forward to my Easter holiday. I like the sound of these books. Hope you will read lots of them on Friday! Five little ducks went swimming one day, tra la la x.